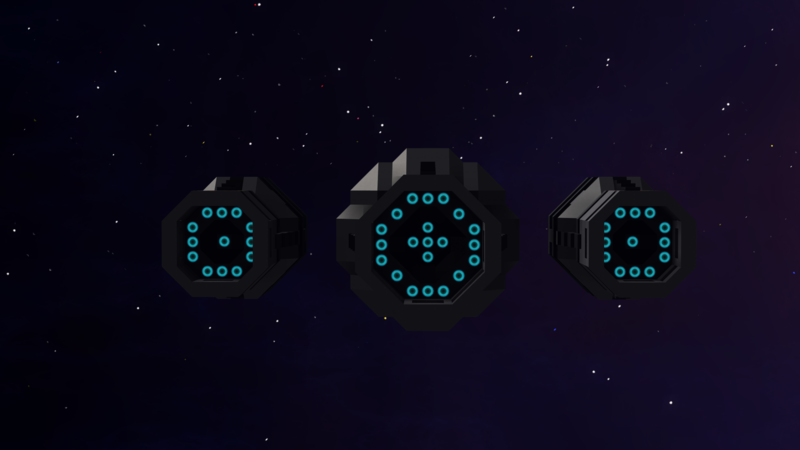 Three engine sets, small reactor to see how the engines look with plumes. 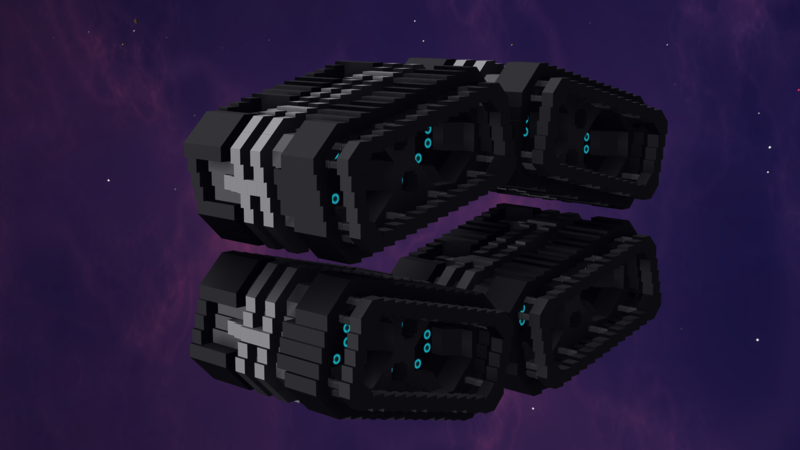 Activator to show/hide bounding box markers for the engines. 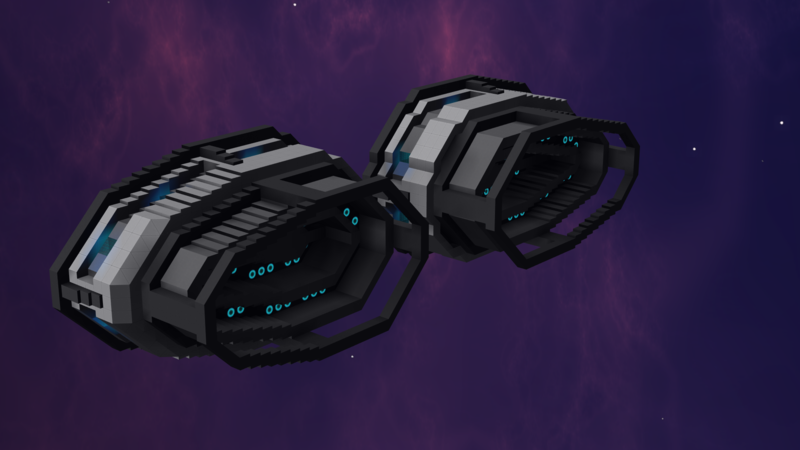 The engines are specifically designed to make use of the plume effect, so therefor there is no ice or other cover over the thruster blocks, and to be made out of no more than 10 different blocks (all three sets use the same range of blocks). 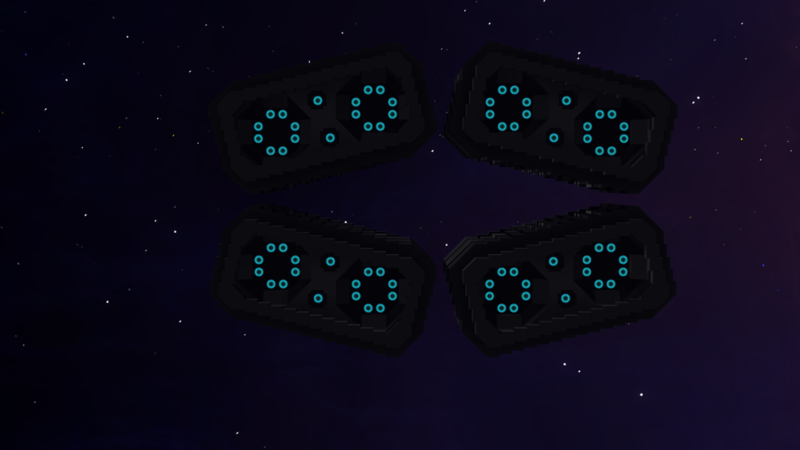 Reactor and logic blocks not counted because they are not part of the engines themselves. Not sure whether all blocks shown (mainly black basic & standard) in the list below were used. Hope you like them and find creative ways to arrange them. 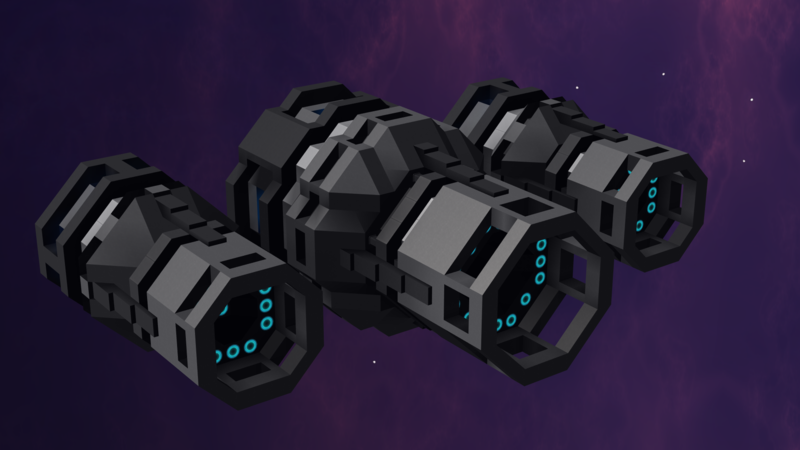 Feel free to use them for builds and inspiration (that's what I upload this for after all). Kraengis, XIIMEPA, Captain Skwidz and 7 others like this. These are very helpful for the people that are learning to build ships, even tho I prefer to do my engines myself. 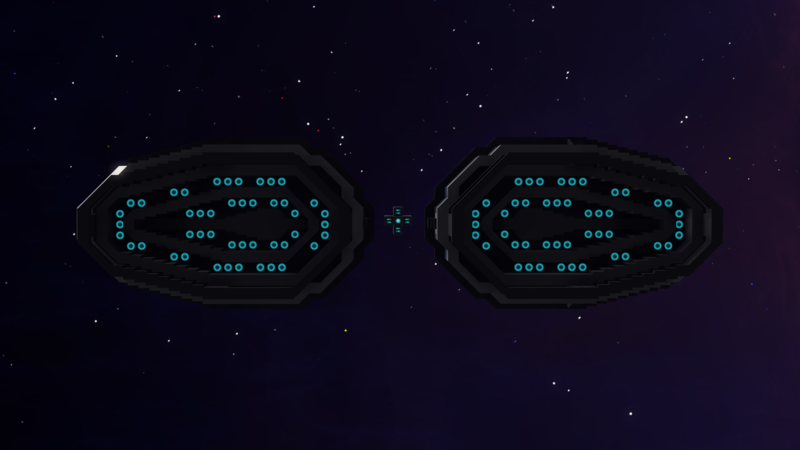 The missing star is due to lack of either logic or ice cover on the system blocks. One thing id suggest is using the new metal bar corners to smoothen the jagging on the slabbed engines. I do not intend to come across as rude, but I think the metal bar corners would make the look worse due to not matching the colour of all the blocks involved and only being placeable from 1/4 slab to full block. The lack of ice cover is intentional, however, I forgot the reasoning in the description (will update that), it is so the thruster plume effect is clearly visible, which it wouldn't be if there was a transparent cover, due to changes made with the intent to make the plumes less obnoxious at long ranges. These will come in handy thank you. This is a propellor float plane. I know it wouldn't work in space, but hey.